New in this version is comprehensive exploit protection. This also safeguards your PC against malware that targets and exploits security vulnerabilities in your installed software. 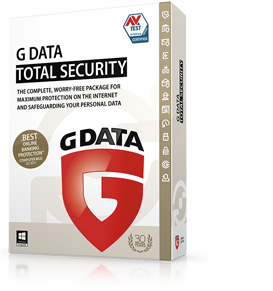 G DATA TOTAL SECURITY not only reliably protects you against viruses, Trojans, spyware and hacking - thanks to numerous extras such as encryption of your personal data or and reliable device control, you're also completely safe from every other threat New in this version is comprehensive exploit protection. 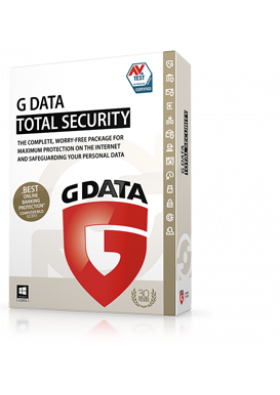 This also safeguards your PC against malware that targets and exploits security vulnerabilities in your installed software.